We noticed a couple of museum workers putting together a new display at the Svrzo house last Wednesday. They said they were preparing for the “noć muzeja .” Andreas and I didn’t get it right away, but the French lady we were touring the house with knew exactly what they were talking about. It seems that all over Europe there is a Saturday night in May when museums have free admission and stay open until midnight. So we set aside Saturday afternoon and evening for some intensive museum time. We went first to the National Museum where we saw stuff left behind by Illyrians, Romans, medieval Bosnians, and Ottomans. 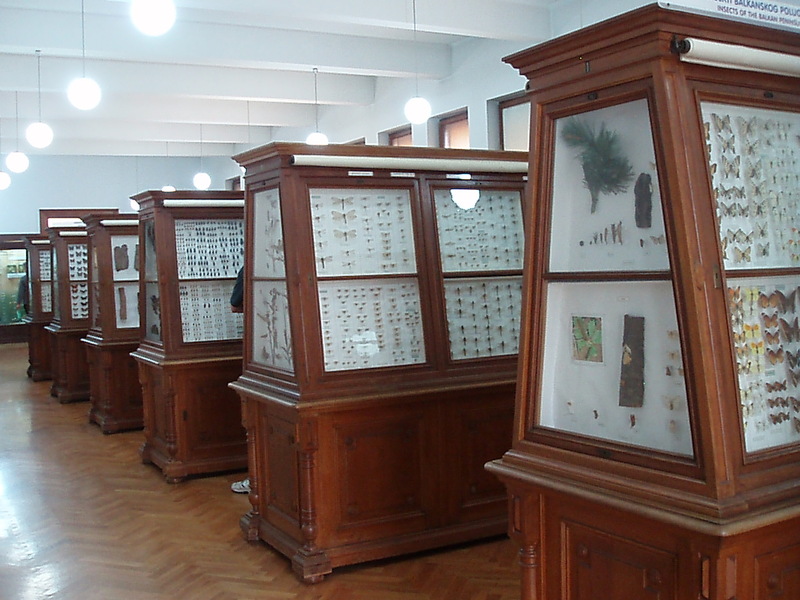 There is also an assortment of preserved specimens in the old-school natural history section and an outdoor botanical garden. After a mid-day burek and beer break, we wandered over to the National Gallery to view the World Press photo exhibit of award-winning journalistic photography. 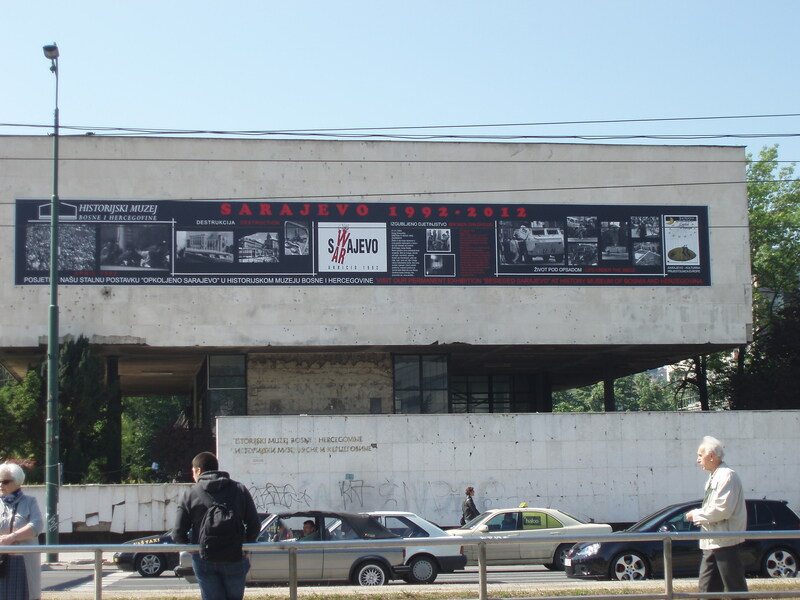 We’d planned for the Sarajevo City Museum to be the last stop on our museum crawl, but we were disappointed to learn they were not participating in the event. Since we were already in the old city area we decided to see if there was anything going on at the old Orthodox church. We got lucky – a special event for museum night with an east Bosnian women’s choir singing traditional music, plus some complimentary and quite passable vranac from the church wine shop. 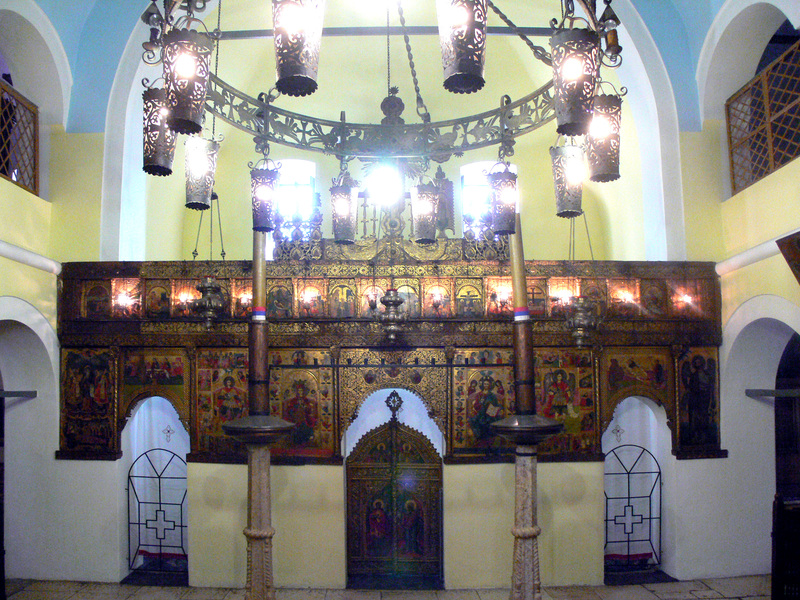 The old Orthodox church in Sarajevo was built in the 1530s. 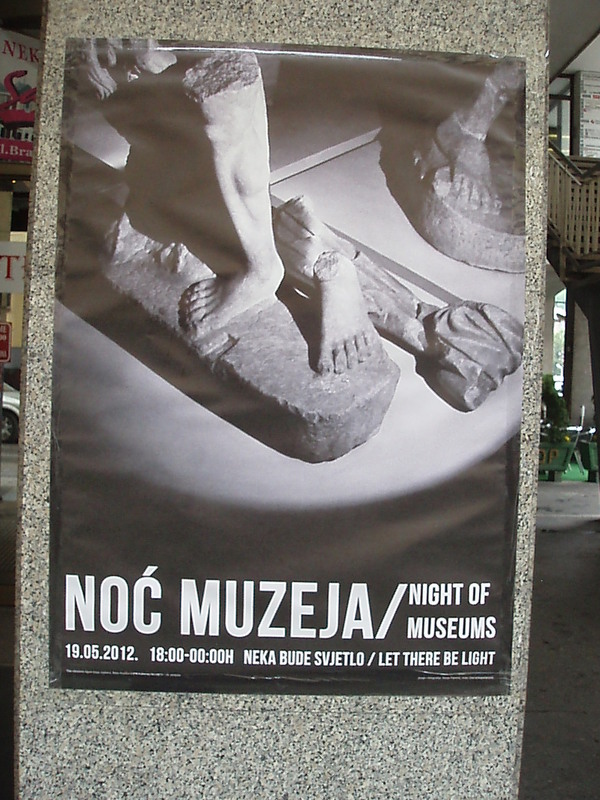 Public museums in Bosnia are going through tough times. 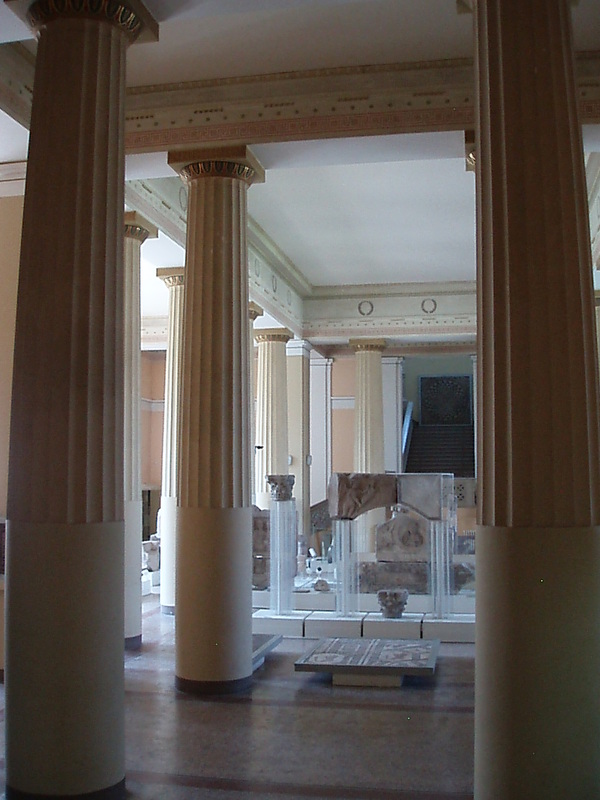 The Svrzo house looked great, but the Historical Museum has no heat, the prehistoric section of the National Museum is closed because the roof is leaking, and the National Gallery has only one floor open to visitors. The worst of it is that, incredibly, museum workers have not been paid in almost a year. They are keeping the doors open because they believe in the importance of their work. While we were in the National Museum we were approached by a journalist from Dnevni list, one of the big daily papers. 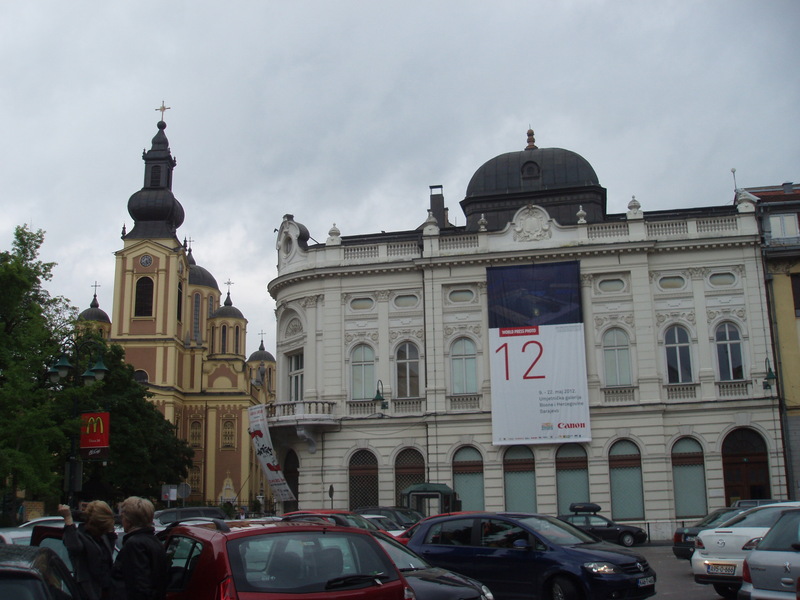 She wanted to know what we thought of noć muzeja. We picked up the paper on Sunday and there we were. See us in the righthand column? 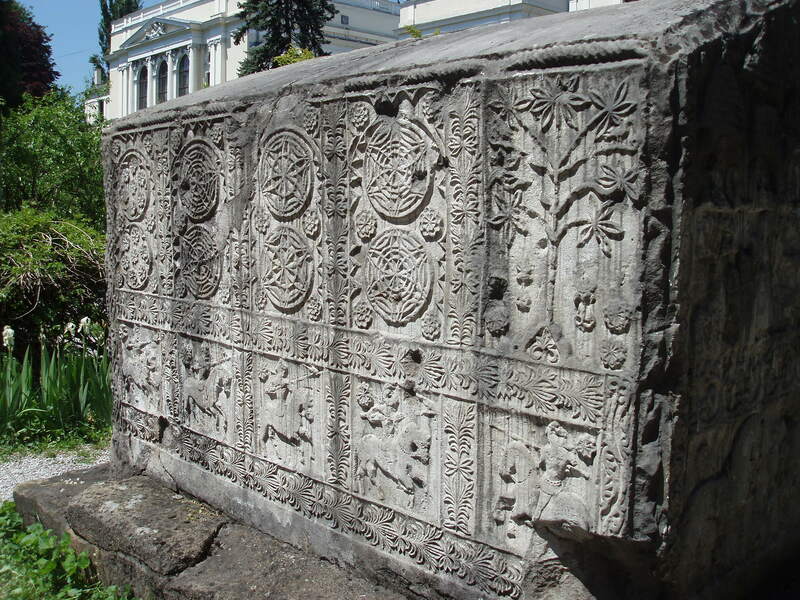 This entry was posted in Sarajevo and tagged church, museum. Bookmark the permalink.